OnePlus has been around for the sixth year now. Over the years, the company has evolved into one of the most popular smartphone vendors, but this has been on the back of releasing only two devices a year – one in the first half and another in the second half. With more people now aware of their existence thanks to the partnership with T-Mobile for the sale of OnePlus 6T in the U.S., OnePlus is seeking to expand its portfolio of phones from one to not two, but three devices in the first half of this year. This model has proven to be a huge success for plenty of other Android vendors, including the leading duo of Samsung and Huawei. The device in question is OnePlus 7. Recent reports have pegged its launch date at May 14th and while we had hints of at least two variants of the device, the second coming in as OnePlus 7 Pro, fresh reports suggest that there will be a third model dedicated to 5G fans. Unsurprisingly, the third model will be called OnePlus 7 Pro 5G and it will be showcased on the same day as the other two variants. 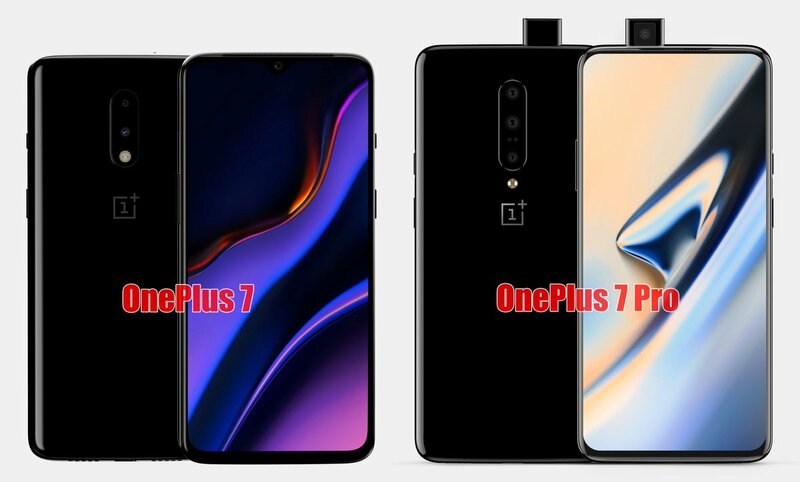 While we’ve seen what is believed to be the final design of the OnePlus 7, where the device borrows a lot from the outgoing OnePlus 6T, the Pro variant is said to add a third ultra-wide camera lens on the back and a few more inches to the display screen, maxing out at 6.64. The selfie camera will also pop up when you need it. As for the OnePlus 7 Pro 5G, it’s likely to be the same device as the OnePlus 7 Pro, but with a 5G modem and probably a slightly bigger battery (and wireless charging, perhaps?). Still, we can’t be sure about any of these, at least until OnePlus bosses spill the beans. Unfortunately, even if there is indeed a OnePlus 7 Pro 5G in the works, it may never come to the U.S.